Yes, for the past 15 days I have removed all of these things, and guess what? I'm still alive. I haven't withered away from lack of nourishment or from food boredom :-) But seriously, while this has been challenging in certain regards, it's actually not as impossible as it sounds. Plus, it's not meant to last at this extreme level forever. At the end of the 30 days, foods will be reintroduced back into my diet bit by bit. The idea is that by removing these things for at least 30 days, then reintroducing them (one at a time), you begin to see the impact certain foods have on your overall health. Trust me when I say that if you are thinking of making changes to your diet in order to improve your health, you can do it, and your meals don't have to be boring. The days of 'eat a bunch of carrots and celery sticks all day' are long gone. I don't know your individual health issues so I'm not saying to run out and jump on the Whole 30/Paleo bandwagon. I've been working in holistic medicine for over a decade, and over the years I've learned a lot about what does and does not work for MY body. That doesn't necessarily mean what works for me will work for you, but all that aside, who wouldn't benefit from cutting back on processed carbs, excess sugar, and food additives? You don't have to do a Whole30 to get moving in the right direction. I've even included a few tips and recipe sources below to help you get started. My point here is that you can cut the junk from your diet if that is something you really want to do. Also, and trust me on this one, you do not have to be Rachel Ray or Wolfgang Puck to accomplish this feat. I am by no means a great or seasoned cook. I'm just a regular girl digging through her kitchen drawers like everyone else trying to find that stupid measuring cup/spoon because I know it's in there somewhere (as a side note, this program actually got me to organize the disaster that used to be my kitchen). The reason I bring this up is because pretty much everyone who knows about my Whole30 journey has been curious about the weight loss aspect. Yes, I have noticed my clothes do fit more loosely. I can't tell you pounds lost because this program advises you not to weigh yourself during the 30 days. The focus is supposed to be about health, not your waistline. However, I'm not gonna lie, it feels pretty darn good to have my clothes fit better. I did jump on the scale the day before I started the program. So, at the end I will get on the scale again and give a numbers report. Listen, I'm all about whatever drives you to be healthier. If those inches around your waist are what motivates you to live a healthier lifestyle, then go for it. Please note the emphasis is on health, not aesthetics. I pride myself on eating relatively clean, so I will say that I was surprised by some of the ups and downs I experienced during the first couple of weeks. Some days I was more moody (sorry hubby!). Other days I was fatigued. I even had a very mild headache off and on for a couple of the early days. I've openly admitted that I am a bit of a carboholic. I love things like rice, pasta, and tortillas. Of course, I don't eat them regularly, but taking them 100% away (particularly rice) definitely had me wanting to seek out carbs (aka sugar) in other forms. You're allowed fruit on this program, but you're not supposed to substitute loads of fruit, fruit juice, dried fruit, or starchy veggies to satisfy cravings for excess sugars. Eating well rounded, plentiful meals with protein, veggies, and fat were (and are) the key to keeping me happy and healthy while doing this program. **Have I been eating carbs? Absolutely! Besides the fact that vegetables have carbohydrates, starchy vegetables such as sweet potatoes, and fruit are being eaten in moderation--especially because I also workout a few times per week. The past few days I've actually felt pretty fantastic. Loads of energy during the day and sleeping really, really great at night. Also, the carb cravings have significantly reduced. Often, I used to get home after work and want to eat something carb-alicious. I'd have to stop myself and reach for something healthier, or simply hold off until dinner, but the cravings were sometimes there. Over the past few days I don't feel that need for a pre-dinner snack. Of course, there are still 15 days left, so I'll be sure to let you know how it goes. Tessemae's is a company that produces a wide array of sauces and dressings without all the additives. When searching their site you can filter things based on your needs: gluten-free, dairy-free, sugar-free, Whole30 approved, etc. So far I I've tried the ketchup, BBQ, and ranch. While the ones I've tried have been delicious, be warned that they may not taste exactly like the sauces you are used to eating. Honestly, if you are a person who loves adding sauces and dressings to your food, eliminating the sugars in these items can really help improve your overall health. Primal Kitchen Mayo is definitely a fave of mine. I don't normally buy mayo, but several Whole30/Paleo recipes I wanted to try called for some. This brand is free of sugar, canola oil, gluten, and dairy, and it actually tastes good. I know many people simply make their own mayo. Several years ago I tried making some and it came out terrible. I know I definitely messed up something in the recipe back then. So, making my own is on my list of things to do, but for now, this one does the trick. Organic Riced Cauliflower from Trader Joe's. Part of me feels like I shouldn't even share this little gem because it's already SO difficult to find this item in stock, but heck, we all deserve to know about this glorious stuff :-) For those of you who aren't living in the Paleo/Primal diet world, riced cauliflower makes an excellent substitute for regular ol' rice. If you're watching your blood sugar levels, this can be a real game changer. Before I discovered this product I would use a cheese grater or the grater of my food processor to rice my own cauliflower. Sure, it's easy enough to make, but personally I think it can be a bit of a (messy) hassle. This just makes it all so much easier. If you've never tried cauliflower rice, I suggest adding it into a recipe you already enjoy. For example, chicken curry over 'rice' is a good place to start. Also, you can simply google 'riced cauliflower recipes' and you'll find a bunch of ways to season and spice it up. Zoodles- These are simply noodles made out of zucchini. Again, this is another Paleo Diet staple. Zoodles allow you to get that 'pasta' feeling without adding in all the processed carbs. I bought this spiralizer kitchen tool online several years ago. I know there are fancier one out there, but this one does the trick. It's an easy way to easily transform you veggies into noodles. Simply saute your zoodles, add in the pasta sauce, and viola! Healthy 'pasta'. You can also use a potato peeler or knife to create zucchini ribbons and use those as a substitute for noodles in a lasagna. Recipe-wise I'm loving Nom Nom Paleo's cookbook. I also bought the Nom Nom app for my phone. I like the app because if you find a recipe you like, you can create a shopping list right then an there. I'm the queen of making a list, and then forgetting the list at home. So, the list component is an added bonus for me. Also, sites like Against All Grain, PaleOMG, and Well Fed are all great resources for recipes. This just goes to show that eating healthy doesn't have to be boring. This recipe is from PaleOMG. Essentially, it's buffalo wings in a dish :-) You can find the full recipe Here. You use spaghetti squash, chicken, and a few other super delicious ingredients to make a casserole chock full of protein, healthy fats, veggies, and of course, flavor. A couple of side notes: the recipe does call for mayo and gives a recipe to make the mayo. I just used the pre-made Primal Kitchen one mentioned above. Also, you can cut down on time by roasting the spaghetti squash on a day you have more time, and then simply storing the shreds in an airtight container in the fridge to be used when you do decide to make this. The most important thing to remember is that while it's easy to get overwhelmed, the first step is the most important step. It doesn't have to be complicated to start get healthier. Probably the one of the simplest, and most important, ways to start improving your health is to be sure to eat a protein-rich breakfast. Notice the word protein. A piece of toast, a bagel, or an English muffin isn't gonna cut it. Think more along the lines of eggs and/or meat (organic, pasture-raised, of course). The addition of some veggies and a little avocado make for a well rounded meal. Try to eat that meal within 30 min of waking up, but definitely within the first hour of being awake. This really does set the stage for the rest of the day. If you wait too long to eat in the morning, you put your body under extra stress, and honestly, who needs more stress in their life? Lack of food in the AM forces hormones (such as cortisol) to make up for the fact that you aren't eating. If you struggle with low appetite in the morning, believe it or not, eating a little something anyways can help that over time. Also, acupuncture and herbs can really help improve that aspect of your digestion. Another easy thing to do is cut the amount of bread/pasta/pastries by half. If cutting out all the processed carbs is just not in the cards, reducing them by half can make a huge impact (especially if you eat a lot of them). Only eat half the bun on that burger or skip the bread at dinner. Every step, no matter how small, is a step in the right direction, and it can give you the motivation and confidence you need to make some of those bigger changes. As you continue on your journey to better health, be sure to sign up below to receive more health tips, information, and recipes. You can also follow me @montoyamedicine . 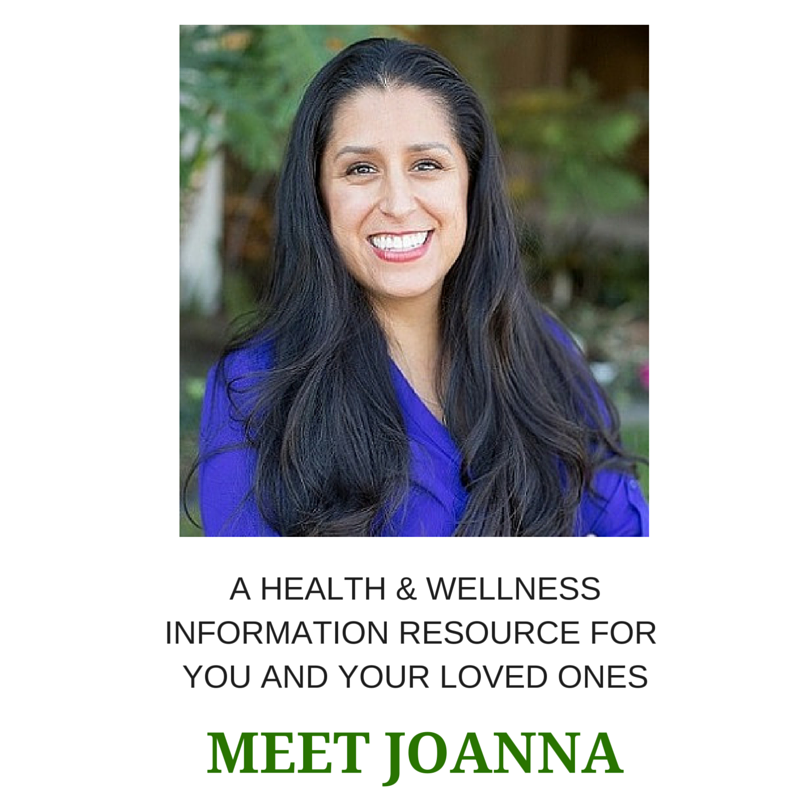 Of course, if you live in the Los Angeles area be sure to reach out to me to set up an appointment for an individualized plan to get started on your path to a healthier you. Wishing you and your loved ones a healthy and happy 2016! Posted on January 18, 2016 by JoAnna Montoya, L.Ac., Dipl.O.M. and filed under nutrition.